LOUDONVILLE — Shorter days, cooler temperatures and sweet apple cider usher in the fall season, and with it Log Cabin Days at Hochstetler Log Homes, Sept.14-15. 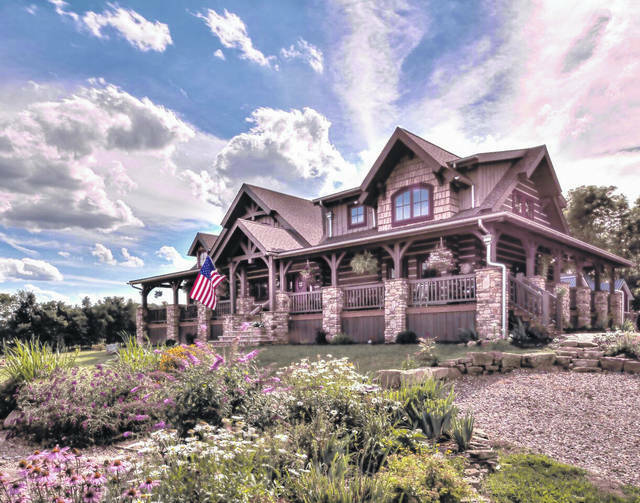 This year the highlight of the event will be the log home tour, where visitors will be able to go through up to 12 log homes and discover the casual, relaxing lifestyle that characterizes log home living. This self-guided tour is available for a small donation to the American Cancer Society. The two-day free family event will also includ e demonstrations of lumberjacking; ax-throwing; wood chopping and cross-cut sawing; 19th century log home-related trades such as hand hewing, wood carving, furniture making, gun building, spinning and rug braiding; log home building. Most of the demonstrations will encourage audience participation;. There also will be lineup of excellent seminar speakers; more than 40 booth exhibits containing log home style furnishings, builders and craftsmen. And there will be a silent auction for a multitude of handmade items including an authentic Amish quilt. Seminars will include log home financing; log home designing; log basics 101, what you need to know in order to get started; Finding land, hints on find ing that dream property; and log home maintenance. These seminars cover almost every area of log home construction and planning and are free. Kids will enjoy Log Cabin Days as much as the adults with the petting zoo giving them a chance to get up close, animals like a pony, calf, puppies, rabbits and kittens. Or, they can play gold-digger and sift through shavings for small trinkets and coins, or take their first pony ride. 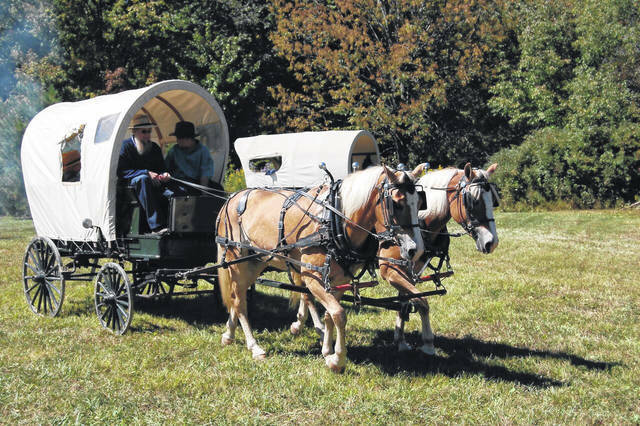 Families can take a relaxing covered wagon ride through the woods. Another popular destination is the food tent, with an array of authentic old-fashioned, mouth- watering food. Delicious barbeque chicken, noodles, potatoes salad, baked beans and a variety of pies will tempt the pallete. There also will be homemade ice cream, fry pies, fresh-squeezed apple cider, apple butter and kettle cooked popcorn to further whet the appetite. Visitors also can shope for fresh produce, including locally-made Amish cheese and trail bologna; plus assorted jams, jellies, honey and maple syrup. Hours are Friday, Sept. 14, 11 a.m. to 7 p.m.
Saturday, Sept. Sept. 15, 9 a.m. to 5 p.m.